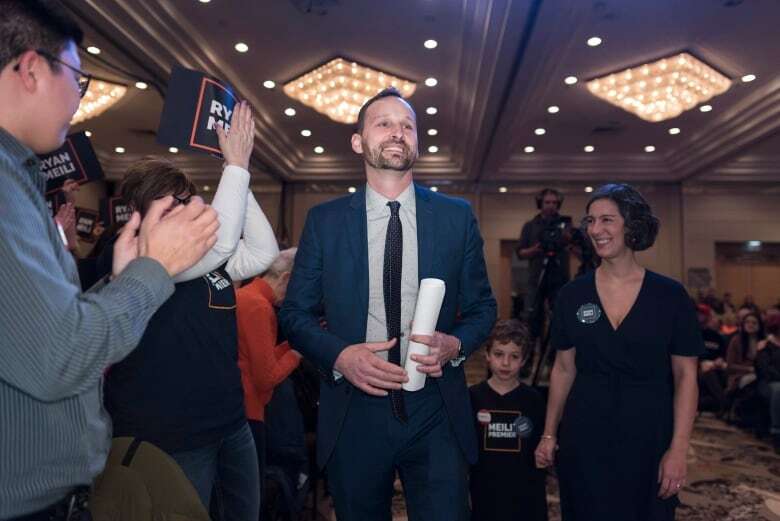 The third time turned out to be a charm for Saskatoon Meewasin MLA Ryan Meili, who was chosen as the new Saskatchewan NDP leader on Saturday. 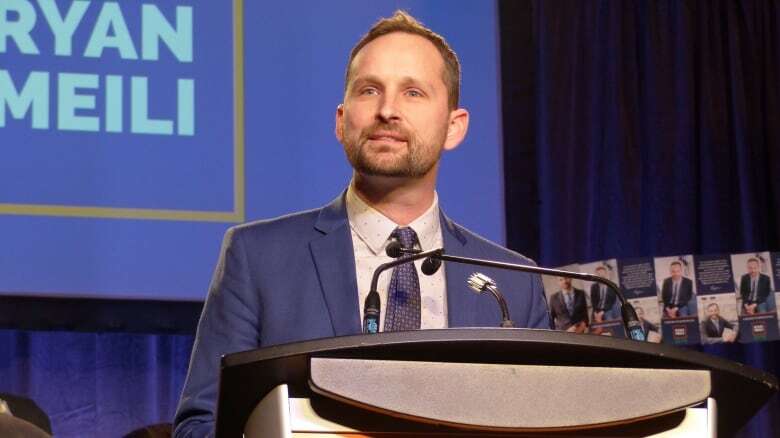 The third time turned out to be a charm for family physician-turned-politician Ryan Meili who has been elected leader of the Saskatchewan NDP. The Saskatoon Meewasin MLA beat out rival leadership contender Regina Rosemont MLA and former interim leader Trent Wotherspoon with 55 per cent of the vote or 5,973 ballots. "It's blowing pretty hard today — I think those might be the winds of change," Meili said to applause and cheers from the room, which held 500 chairs and had people crowded along the sides. One year ago, Meili came to the legislature after a byelection win. He was no stranger to leadership races, however. He had unsuccessfully run for leader in 2009 and in 2013, when he narrowly lost to Cam Broten by 44 votes. On Saturday, Meili beat Wotherspoon by 1,113 votes. "I still think that was a pretty close race, but it is good to know that it wasn't in 44 votes or something super slim," he said. "People know that was the decision of the party. Everybody on our team is ready to move forward working together." Voter turnout was 81 per cent, with 10,837 of 13,414 registered Saskatchewan NDP members casting votes. 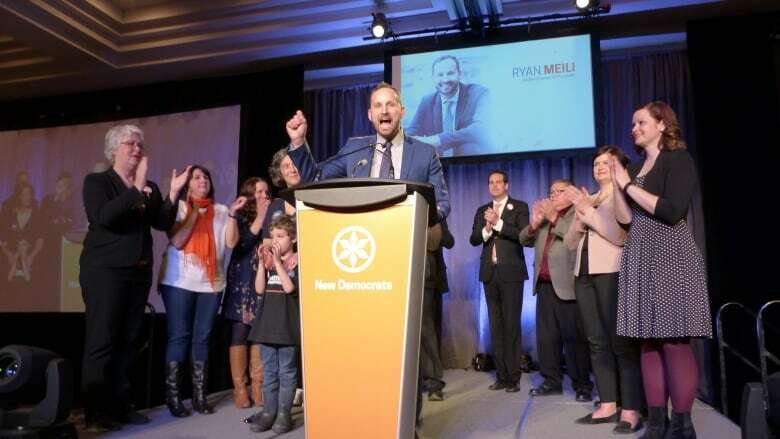 It was a turnout that Meili compared with the Saskatchewan Party's recent leadership race voter of 63 per cent, with Meili saying the Saskatchewan NDP members are clearly "engaged and motivated" in politics. As for what made the difference this time, Meili credited his campaign team and believes more people got to know him during his time in the legislature. "Maybe third time's the charm," he also joked. Meili, who said he was informed of the ballot result ahead of time, emerged onto the stage through a backdoor to cheers from his supporters. He was then joined on stage by the party caucus — as well as federal NDP MP Erin Weir. But he was first welcomed to the microphone by Wotherspoon, who introduced Meili as the new leader and " the next premier" of Saskatchewan. "I think it's awfully important it's clear from the get-go that we're in this together," Wotherspoon told reporters after Meili's victory speech. He also acknowledged some disappointment. "l feel disappointed to all those really great people that supported me that I maybe wasn't able to get the job done for them." "On a personal level, I'll be fine. Instead of being holed up making a bunch of decisions tomorrow, I'll be drilling a hole in the ice, ice-fishing somewhere." 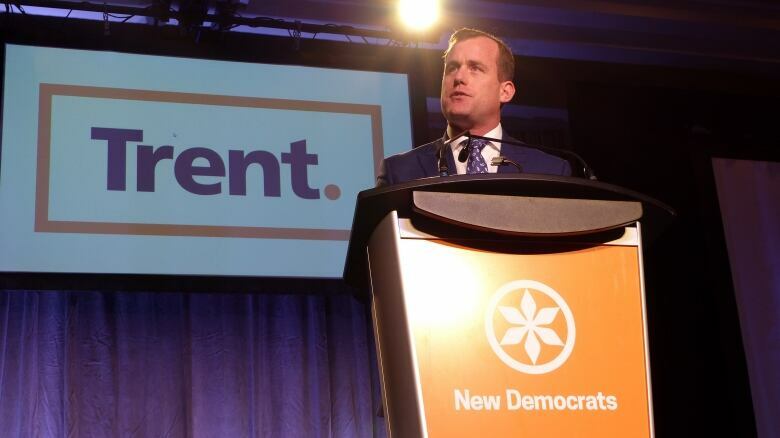 While Wotherspoon enjoyed the backing of six caucus colleagues — Nicole Rancourt, Buckley Belanger, Carla Beck, Doyle Vermette and Danielle Chartier— Meili only had the endorsement of one elected provincial NDP member, Cathy Sproule. Speaking to reporters post-victory speech, Meili expressed no concern about uniting the party. "The main thing is everyone is a part of this next phase, that this is not for one team or one group of the party. It's for everyone." Throughout the campaign and again in his final pitch to members Saturday afternoon, Meili spoke of the need for new ideas and change within the party. Meili emphasized the party had not gotten far with the approach of playing it safe. "Right away, we're going to focus on which of the issues that we can address [regarding] the Sask. Party's problems, but very soon you're going to start to see us talking more and more about what we would do differently," Meili said. He said going into 2020 there is an opportunity to win back rural seats held by the Saskatchewan Party, and he would do so by building on an NDP agriculture policy, having a rural issues caucus and addressing the concerns of rural residents. 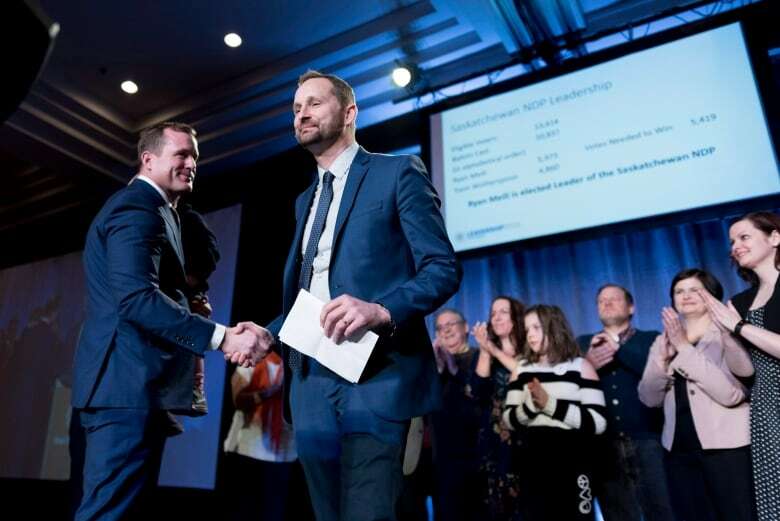 On Saturday, Meili also underlined the need for a made-in-Saskatchewan plan to become a leader in renewable energy and reduce emissions, which includes a price on carbon — a move vehemently opposed by Premier Scott Moe, who recently refused to sign Ottawa's climate change plan. When it comes to lingering concerns about Meili's perceived lean to the left, he called the political divisions of right and left "superficial." Meili, who is now at the helm of an 12-member caucus, said he still hopes to practise as a doctor, performing a couple hours of clinical medicine every month. The first step in his new job will be meeting with his team and discussing roles. As for the next election, his goal is clear.